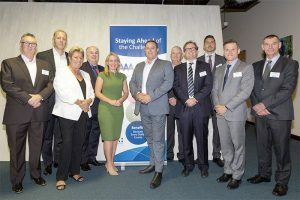 The advisory board has been formally launched by Queensland’s Minister for Innovation and Tourism Industry Development/Minister for the Commonwealth Games, Hon Kate Jones MP, on the Gold Coast, where the Commonwealth Games will start in less than three weeks. “The launch of our Queensland State Advisory Board is a significant step forward for accommodation industry representation in the state,” said the Chief Executive Officer of the Accommodation Association of Australia, Richard Munro. “As our members are aware, tourism is one of the largest and most important industries for the Queensland economy and within tourism, the accommodation sector is a dominant player. “The move to launch a special board to specifically represent the interests of Accommodation Association members in Queensland formally acknowledges this. Members of the Queensland State Advisory Board are from a broad cross-section of accommodation businesses, including large national chains who have many hotels in major cities to smaller operators whose properties are in regional Queensland. “With the likes of global giant Airbnb and other sharing economy platforms who directly employ virtually no Queenslanders, pay next to no tax in Queensland and pay virtually no council rates in Queensland, the launch of the new Queensland State Advisory Board is very timely,” Mr Munro said. “To help preserve the safety of visitors to Queensland, there must be a level-playing field for the regulation of tourism accommodation in the state. The launch took place at the Southport offices of training provider HETC (Harvest Educational Technical College).